These websites developed from answers to questions I was being asked--and they grew like topsy. They're plain-Jane in terms of design but will lead you to essential and sometimes surprising information, articles, and topics. A real-life love story (my goddaughter's). Book of the week: Who Stole the American Dream? by Hedrick Smith. Listen to him on the Kojo Nnandi show and if you're like me you'll want to read the book. Also interesting: Financial Advisors Selling Bogus Advice? Skipping $4 lattes will save you some money — but buying into bogus financial advice won't. Finance journalist Helaine Olen says many of the so-called 'financial experts' are selling you advice to make themselves rich. She discusses her book, Pound Foolish: Exposing the Dark Side of the Personal Finance Industry with host Michel Martin. Click here to order from Amazon: Changing Times, Changing Minds: 100 Years of Psychiatry at the University of Maryland School of Maryland. Any orders through Amazon links bring a small commission to this site. Maryland's Long Commitment to Patient Care Chronicled by Lynne Lamberg, Psychiatric News 2-4-11 (story about department quotes from the book). Writers and Editors (Pat McNees's guide to resources for writers, editors, and publishers). "Be yourself; everyone else is taken." "I have drunk from wells I did not dig, I have been warmed by fires I did not build." Finding background music and sound effects for video biographies, podcasts, presentations, blogs, etc. "Providing critical care for life stories"
*YPO: The First Fifty Years. "A fascinating book that tells the story of the Young Presidents' Organization (YPO). It started when Ray Hickok, just 27 and having returned from World War II, had to take over a family business when his father died. He brought together other young men like himself and the rest is history--told by a skilled writer about those turbulent times that set in place this nation's economic dominance. Members and former members (you're out when you hit age 50) will particularly enjoy this book. Among the YPO members were people like Lloyd Bentsen, Bo Callaway, J.B. Fuqua, Sir John Templeton, Robert and Lawrence Tisch, and many others who became legendary business leaders." (reviewer Alan Caruba). Check out selections from and about the book. * DYING: A Book of Comfort. Healing Words on Loss and Grief, ed. Pat McNees. "Pat McNees is one of my favorite writers," said Barbara Greenman, former executive editor of book development at the Literary Guild. "She put heart and soul into the project we did together, the anthology Dying: A Book of Comfort. Instead of using only her own experience helping her dying father, she researched the literature, found out (or intuited) what people facing a death or bereavement might need to read, and after finding an amazing amount of wise and wonderful material did a beautiful job shaping it into a gem of a book, which has helped many, many people. She was realistic about publishing realities, easy to work with, and knowledgeable and thorough about copyright and permissions (she teaches a course on the subject). Most important, she managed to make readers feel that dealing with a death could be a life-affirming experience. Over my 20 years here, Dying is the book I am most proud of publishing." DYING made the 25th anniversary list of favorite books by women, compiled by the Women's National Book Association (Washington). * Contemporary Latin American Short Stories, compiled and edited by Pat McNees, in print since 1974. • Reflections on a Silver Spoon: How a Foodie Found Home by Kim Firestone (Kim wrote it, Pat coached and edited, and My Special Book (in Buenos Aires) designed and produced the book). • Plus others privately published and not available to the public. • New Formulas for America's Workforce: Girls in Science and Engineering by Pat McNees for the National Science Foundation (read online or download free here). An unexpected bestseller for the National Science Foundation. New Formulas for America's Workforce: Girls in Science and Engineering went through its entire first printing in five weeks (plus an amazing 102,000+ downloads of the book, most of them in PDF format). Important findings from 225 NSF-funded projects on how girls learn -- and learn to love (or hate and avoid) --science, engineering, and technology; on how women and "women's ways of knowing" are needed to fill national gaps in science, engineering, and technology; and on what can be done to improve science learning for girls and women. Click here to read Pat's Washington Post story, "Why Janie Can't Engineer," on how to hook girls on science. In her first medical history, Building Ten at Fifty: 50 Years of Clinical Research at the NIH Clinical Center (2003), Pat wrote about the patients, the researchers, and the medical mysteries investigated in the NIH Clinical Center, better known at the National Institutes of Health as Building 10. Part research hospital, part ambulatory care center, Building 10 is the home base for clinical research (research involving human patients) of the various national institutes. Many scientists on NIH's Bethesda, MD, campus do basic research; Building 10 is where intramural researchers from the various institutes see patients. The addition this year of an upgraded hospital, the Mark O. Hatfield Clinical Research Center, makes Building 10 the second largest federal building in the country, next to the Pentagon. It contains half the research beds in the United States and is the largest, most important biomedical research complex in the world. It is an invaluable resource for patients with rare diseases, or common diseases for which the NIH is developing and testing new treatments, and it is a key training center for clinical researchers all over the world. Pat has received several awards for her history of the Clinical Center, Building Ten at Fifty. "I could write about Building 10 for years," says Pat. "I don't know who is more fascinating, the patients or the researchers. You have never seen so many brilliant, dedicated, and hard-working people in one place. Even the patients are well-informed. That's part of the mystique of the place. Pioneering work, which Building 10 is designed to facilitate, is being done on a thousand different fronts." Read an excerpt published for the Center's 50th anniversary. "If you walk out the door to my office, on the right you walk into my laboratory, out the door to the left you walk around to the ward," says Steve Rosenberg, a pioneer in immunotherapy as a treatment for cancer patients for whom standard treatment options have failed. "It's a marriage of science and clinical practice that exists nowhere else. This hospital is a jewel in the medical universe.'" The close proximity of laboratories and research beds encourages the flow of ideas from the laboratory bench to the bedside and back again, and the critical mass of expertise, dedication, and sheer intelligence creates an environment in which both basic and clinical research thrive. Pat also executive produced a 15-minute video emphasizing the Center's partnership with its patients. You can read part of Pat's history of the Clinical Center (in a program for the employees' celebration) online--or click on "Bench to Bedside and Back" and watch the video online. Another of Pat's books was an unexpected bestseller for the National Science Foundation. New Formulas for America's Workforce: Girls in Science and Engineering went through its entire first printing in five weeks (plus an amazing 102,000+ downloads of the book, most of them in PDF format). Important findings from 225 NSF-funded projects on how girls learn -- and learn to love (or hate and avoid) --science, engineering, and technology; on how women and "women's ways of knowing" are needed to fill national gaps in science, engineering, and technology; and on what can be done to improve science learning for girls and women. Click here to read Pat's Washington Post story, "Why Janie Can't Engineer," on how to hook girls on science. "Pat McNees is one of my favorite writers," said Barbara Greenman, former executive editor of book development at the Literary Guild. "She put heart and soul into the project we did together, the anthology Dying: A Book of Comfort. Instead of using only her own experience helping her dying father, she researched the literature, found out (or intuited) what people facing a death or bereavement might need to read, and after finding an amazing amount of wise and wonderful material did a beautiful job shaping it into a gem of a book, which has helped many, many people. She was realistic about publishing realities, easy to work with, and knowledgeable and thorough about copyright and permissions (she teaches a course on the subject). Most important, she managed to make readers feel that dealing with a death could be a life-affirming experience. Over my 20 years here, Dying is the book I am most proud of publishing." "At last, a collection that shows the 'why, what, and how' behind memoir as legacy." A great gift for that person whose life stories should be recorded or told but who keeps saying, "Who cares what happened in my life?" Read excerpts here and click here to order directly from the Association of Personal Historians. Backstories about the process of getting the stories into print will be of particular interest to those who want to help others tell their life stories. The Department of Psychiatry at the University of Maryland has one of the largest psychiatric training programs in the country--with, at any given time, about eighty psychiatric trainees, not all of them full time. The department currently has a full-time, steady-state faculty of about one hundred, with another hundred volunteer faculty. Maryland's chief local rival is Johns Hopkins, across town. Hopkins has a much smaller program, chiefly people more interested in academic psychiatry. Most of the people who come to Maryland come to train to become practitioners. What started early in the twentieth century as a decentralized apprenticeship model of training in community-based clinics evolved into a formal system of training as part of mainstream American medical education. Psychiatric training, which had initially been community-based (especially in child psychiatry), moved to academic medical centers--except for psychoanalytical training, which maintained an arm's-length relationship with, and a steady distrust of, the academy. There was a shift from psychodynamic and psychoanalytic preeminence in the 1950s and 1960s to evidence-based medicine in the 1980s; from almost exclusively psychotherapeutic interventions to a major emphasis on psychopharmacology combined with psychosocial approaches; from psychotherapy provided chiefly by psychiatrists to a multidisciplinary approach, including psychosocial and vocational rehabilitation, provided by various kinds of health care workers; from a hospital-based system, emphasizing maintenance and containment of individuals with chronic and persistent mental illness, to a patient-centered model for mental health, with an emphasis on hope and recovery. Patients for whom even professionals early in the twentieth century had used such terms as idiot, feeble-minded, lunatic, and insane, had by the end of the century become patients, clients, and consumers of mental health care -- individuals who were dealing with a mental illness or disorder, but were not defined by it. The psychotropic drugs were slow in gaining acceptance, but when they did, psychiatry probably overpromised what they could deliver. Expecting a cure, and criticized for violating patients' civil rights, states all around the country began emptying their public psychiatric hospitals and cutting their mental health budgets, thinking medication would end the need for expensive state institutions. The community psychiatry that in the early 1960s raised hopes for a community-based alternative to hospitalization far from home failed to live up to expectations, partly because the funding to deliver it did not materialize and the approaches to making it work had not been developed. But Maryland did not empty all of its state hospitals, and in the mid- to late 1970s several idealistic members of the department stepped into positions of power in the state mental health authority, initiating a state-university collaboration called the Maryland Plan (chapter 6), which transformed training for psychiatric residents and state psychiatrists and replaced negative attitudes about working for the state with a sense that this was where the action was. Changes within psychiatry often reflect what is going on in society itself, and the social consciousness that characterized the 1960s and 1970s was reflected in the social psychology that emerged then, focused somewhat more on the externals of a patient's life, helping to restructure or reposition that life in a social--including family--environment. In the last thirty years, that evolved into the department's strong emphasis on hope and recovery--on developing, evaluating, and disseminating treatments to improve the quality of life for people for whom decades ago there had been little hope. From early on, but particularly starting in the 1970s, the department has focused on treating patients with severe and persistent mental illness who could not afford private care. "That's probably a major theme in the identity of the department from its inception," says Tony Lehman, current chair of the department. In particular, many of the department's research programs began to focus on severe mental illness, especially schizophrenia, potentially one of the most disabling and persistent of illnesses--one that both the patient and the family must live with. There is also more emphasis now on recovery--on developing, evaluating, and disseminating new treatments--offering new hope for patients and their families. "Ironically, one of our commercially successful projects led to a major Navy program, thanks to a secret ride that Rickover took on the Aluminaut." We decided to take Admiral Hyman Rickover by rental car from the hotel in Miami to Miami Beach, where Bill Jones had rented a motorboat -- again, not too fancy and not too skimpy but entirely shipshape and captained by an extremely efficient retired Navy Chief -- to take up to six people to the Aluminaut and back. Then Mr. Jones went in search of seedless grapes. "Admiral Rickover was a frugal eater, but with a fondness for grapes. 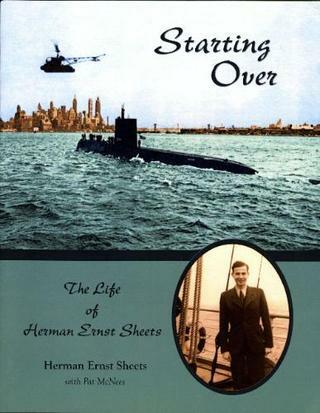 Early in his history with submarines, crews provided him with grapes when he toured a vessel. As he toured, munching grapes, his mind was always on submarine tests and other important events on his schedule, so he would spit the seeds and sometimes the skins on the floor. Submarine skippers prided themselves on having perfectly clean submarines for the acceptance tests, which Admiral Rickover attended, so the specifications were changed: Admiral Rickover was to be provided only with seedless grapes with edible skin. Bill Jones was having trouble finding seedless grapes, as most of them had been shipped north and only a few specialty fruit stores had them. After he found the grapes, Mr. Jones drove me to the airport for my flight back to Groton. My plane left 10 minutes before the admiral's plane arrived. "Apparently Admiral Rickover's trip with his assistants was a big success. On the vessel and afterward, he lectured his assistants that they could not create something so simple, rugged, and reliable for only three million dollars. Eventually it was said that his trip aboard the Aluminaut resulted in the specifications for the world's smallest nuclear research submarine, the NR-1, which was launched in 1969. The NR-1 was used for military surveillance and marine research at mid-ocean depths (3,000 feet). In the early 1970s, Reynolds donated the Aluminaut to the Science Museum of Virginia."